If I ever make it to New York City C Wonder will be one of my first stops. 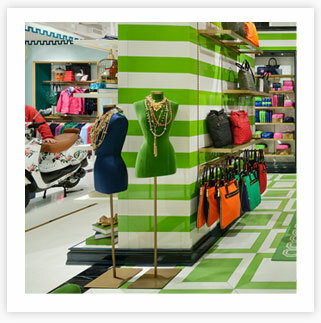 The store was created by Tory Burch's ex-husband and mirrors the bright colors and preppy style of Kate Spade and Tory Burch herself. I'm obsessed with the fun pieces of china, colorful stationary, and stylish wellies and I'm happy to report they recently opened their online shop. But window shopping online just isn't the same as visiting the colorful eye-candy NYC store...planning my NYC getaway now! Oooh, that place looks so fun! Next time I'm in NYC, I definitely want to check that out! That place looks sooooo cute. I want to go to NYC so bad!